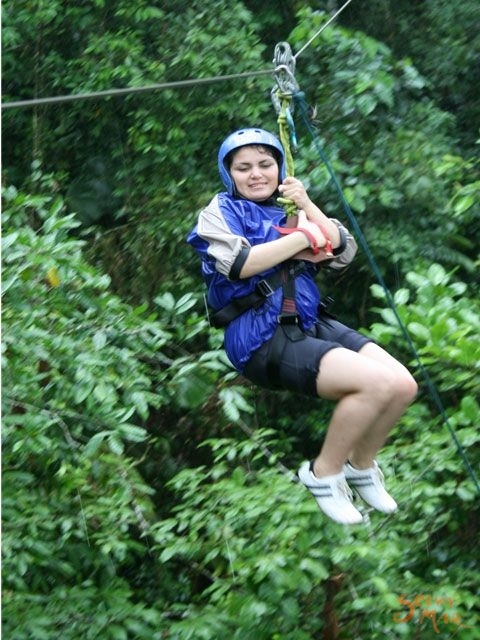 The Original Canopy Tour is located in the private reserve of the Cloud Forest Lodge in the Monteverde area. Here we have constructed a series of observation platforms and traverses that will take you through the canopy layer of the rainforest. As of January 2002, the tour includes 2 suspended walkway sections, 11 platforms, 8 traverses high in the treetops, and 2 rappels. The tour starts with a short guided hike through the private reserve of the Cloud Forest. The first part of the tour will take you through secondary and primary forest and then a climb up a ladder to the first platform, about 8 meters above the ground where an ingenious series of cables connecting the trees awaits you. After a series of horizontal traverses and suspended platforms you will rappel back to the forest floor and hike another 50 meters where you will have a spectacular climb up a rope ladder through the inside of a huge, hollow strangler fig. Dangling from 22 meters off the ground, the eight-meter-long walkway that winds around the various trees that the strangler fig has consumed in it's lifetime makes for an unbeatable vantage point for observing the surrounding rainforest. 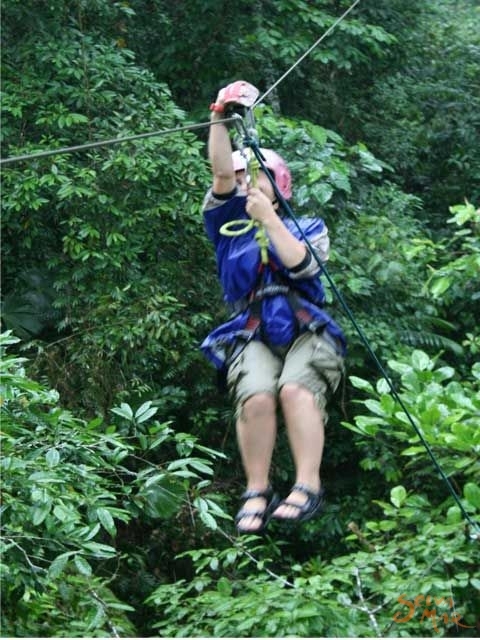 You will then continue your tour from platform to platform, assisted by our expert guides, and finally have a second rappel the long way down to the forest floor. The platforms vary in height from 8 meters to 28 meters above the forest floor. A cloud forest generally has several layers to the canopy, all of which can be seen on the tour. The climate in the Monteverde area is generally warm to cool. Shorts can be worn, but jeans are also comfortable. Hiking boots are a good idea, as it rains frequently. Insect repellant, cameras and binoculars are also recommended. Tours leave daily from the office in Santa Elena at 7:30 am, 10:30 am and 2:30 pm or you can arrive directly to the Cloud Forest Lodge. Participants must bring a passport or other ID. 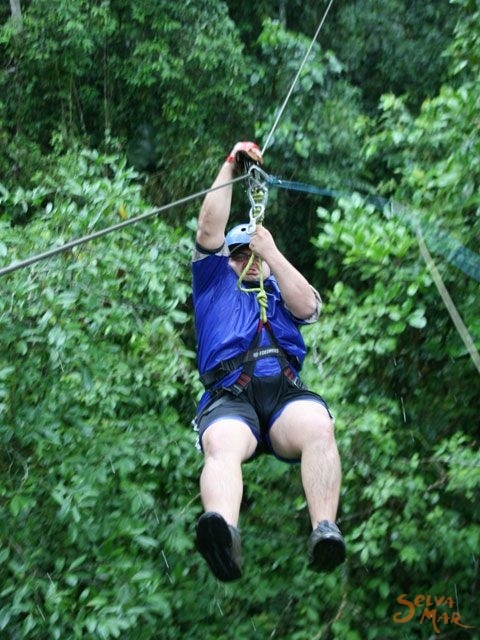 The Canopy Tour takes about 2 to 2 1/2 hours to complete.